If you’re like me, there are days you drive away from your home and when you come back, you kinda hope that someone has replaced your current house with a quaint, old Farmhouse. Something pre-turn of the century, batten board, huge porch, roses, picket fence… the whole nine yards. Now, don’t get me wrong…I love our home. But, I can’t lie. 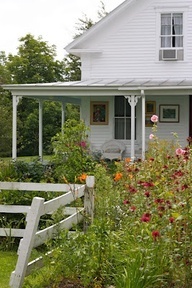 The “farm girl” in me has always wanted, and always will want – a farmhouse. But, if you’re also like me – you probably won’t ever live in a farmhouse, so you do the next best thing. You Bring Farmhouse to You! Whether you go with the real McCoy, or the 4×8 sheets of beadboard you can get at Lowe’s, you cannot go wrong when adding this architectural feature. 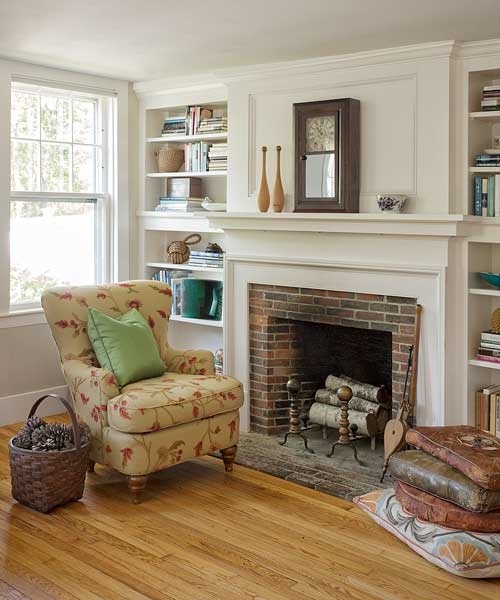 Placed on the walls or used as a back splash, painted white or light blue – beadboard instantly adds an instant touch of Farmhouse to your home. *4×8 sheets of bead board at Lowe’s starts at about $18.00/sheet. Many homeowners are on the fence when it comes to open shelving in the kitchen. While the consensus is that they love the look, it is also widely believed that they are too much work, i.e, dust and grease. 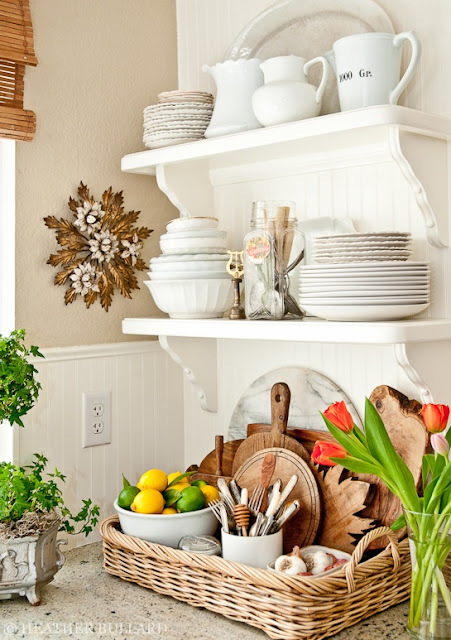 But, you don’t have to have a kitchen full of open shelving. You can do like I did in my own kitchen and have a small niche with open shelving. 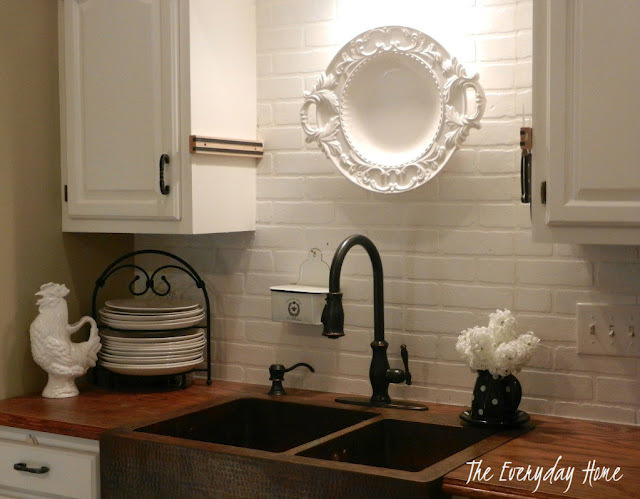 I simply removed the middle cabinets along a long row of cabinets, continued the faux brick painted backsplash from below, and added an assortment of glass canisters and farmhouse-style decor. 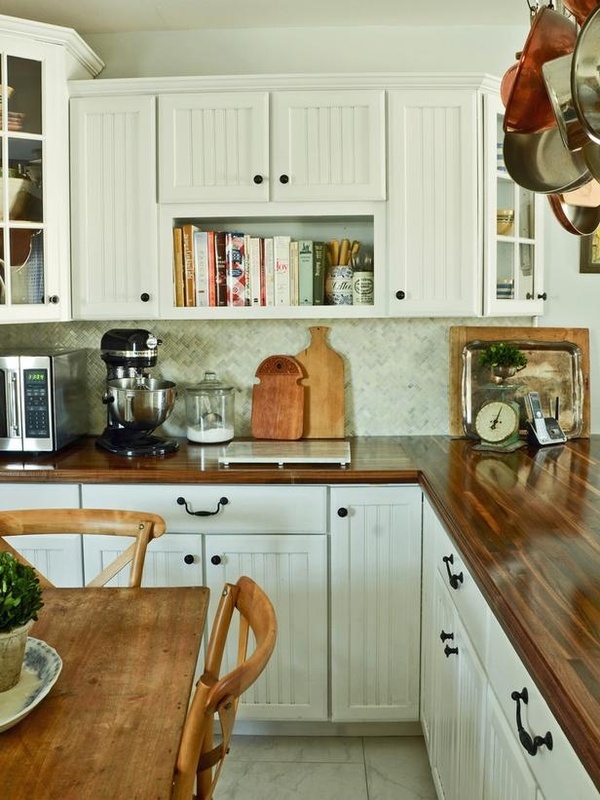 Nothing says farmhouse quite like butcher block countertops. The warm, wood patina creates a glow and texture within your kitchen that other types of countertops cannot offer. In the past, butcher block countertops were very expensive, and considered even out of date at one point. But, the fascination with Farmhouse-Style has seen an increase in wood countertops. In my own kitchen, I have enjoyed wood countertops for about five years. Put in as temporary countertops that would “make do” for a few weeks (I had a wedding taking place in my backyard)…I fell in love with the look and the versatility and ended up keeping them. The “wear and tear” of these countertops only adds to the beauty of them, in my opinion. Ikea Butcher block countertops start at $80/section. 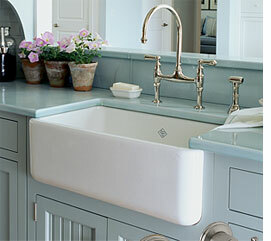 The classic farmhouse sink, or apron sink, is sure making a strong comeback. 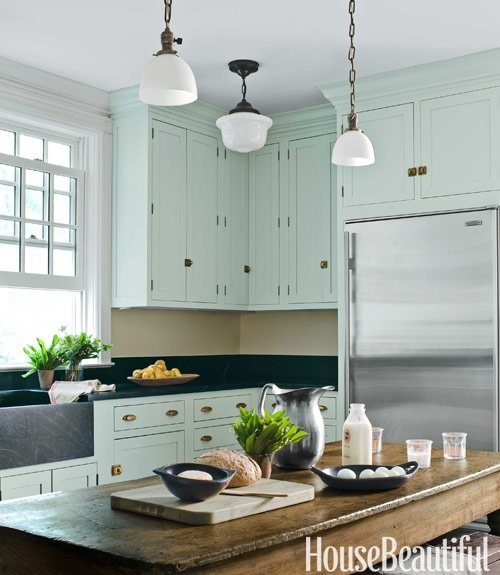 With the rise in the desire for “all things farmhouse,” this kitchen fixture has almost become a staple. The most common style is the one seen above.White ceramic with a single bowl. But, you can also opt for a more practical double-sink bowl, as well. This type of sink retails starting at about $350 at Ikea. When I was remodeling my kitchen, I chose to go with a sink a little less common, a hand-hammered copper sink. 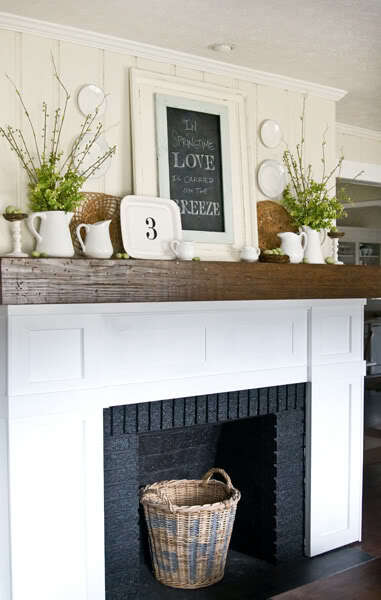 a) replicate by turning your current fireplace into one which more closely resembles a farmhouse-style fireplace. coat ole’ coat of farmhouse-white paint. This may be one of the easiest ways to add Farmhouse-style of all of these suggestions. White dishes can be picked up for a song at yard sales and thrift shops, and even places like Marshall’s and Home Goods carry a large selection of platters, pitchers and plates. 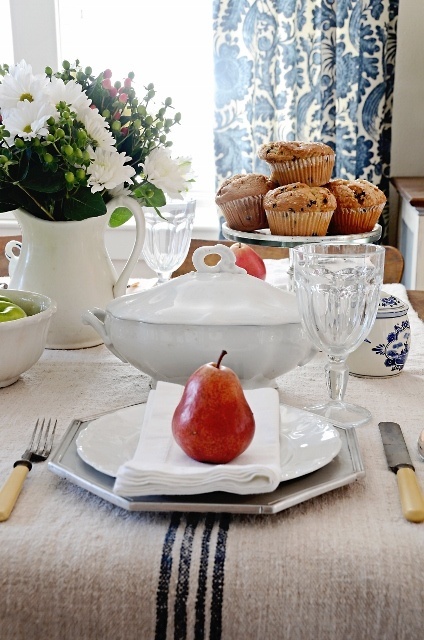 Ironstone, which is highly collectible, can cost much more and is harder to find. 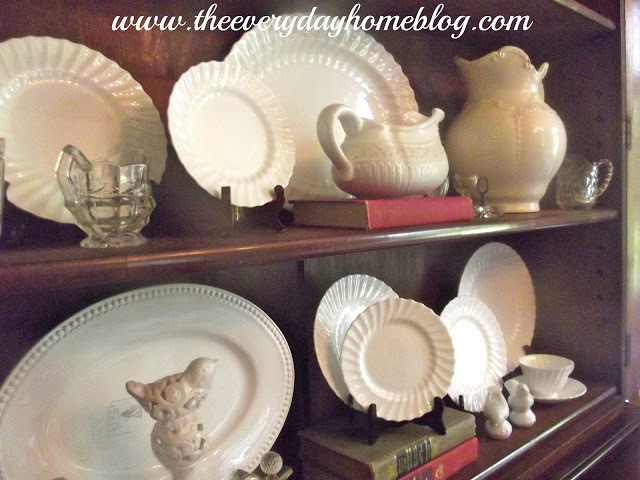 I have a mixture of old and new white dishes that I display around my home. Did you know you could even take older, “not to pretty” thrift store plates and spray paint them? Oh, yes you can. See below. 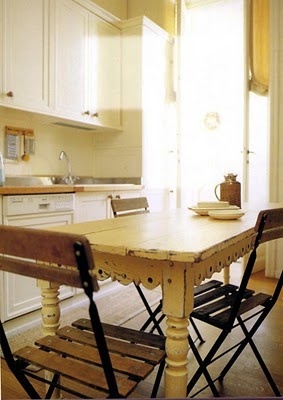 Who doesn’t love a beautiful Farmhouse Table? 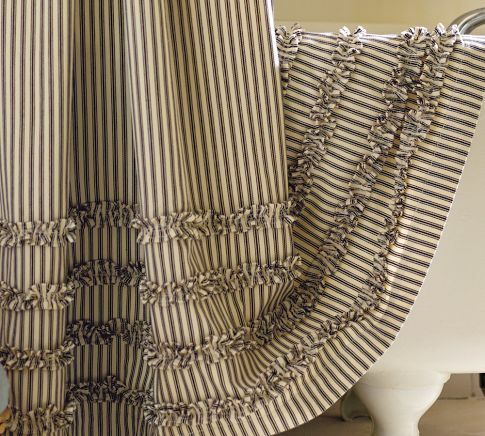 It is the epitome of Farmhouse-style, in my opinion. The more beat up and “well-loved” – the better. 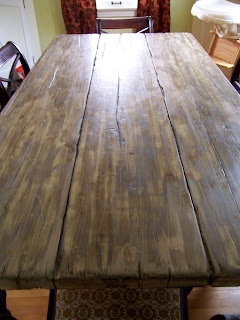 Farmhouse tables can be painted, or left stained with a soft warm-toned patina. 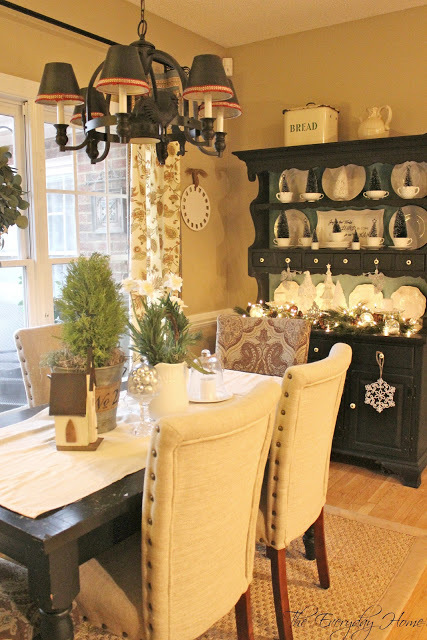 You can even “farmhouse” your own table. 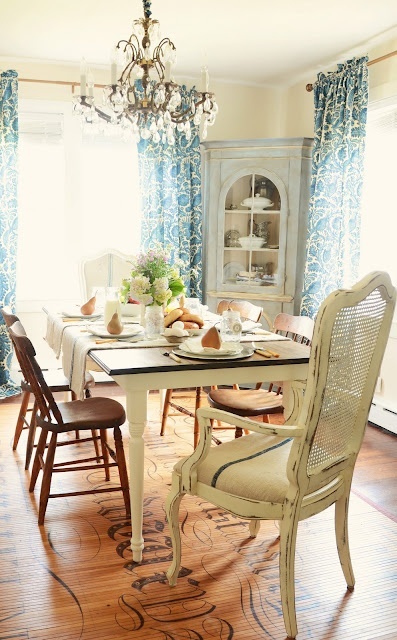 With some well-placed dents and added “character” – a table fit for a Farmhouse breakfast can be attained. 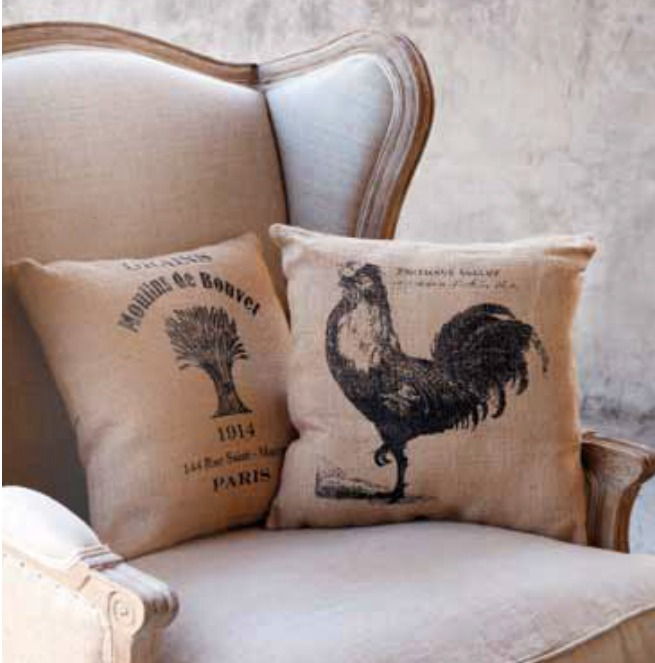 Whether its grain sack or burlap or ticking or linen… fabrics add to the Farmhouse style one yard at a time. 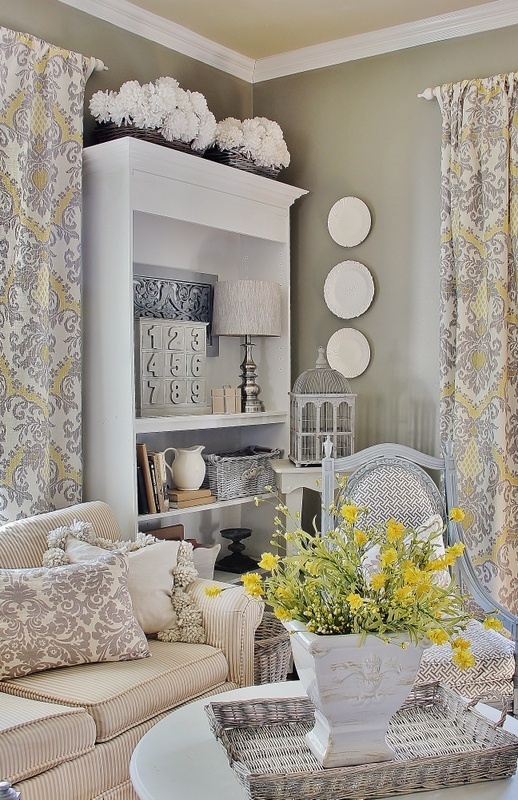 Pillows, Runners, Window Treatments, Upholstered Furniture… the list is endless. Even adding just a few pieces here and there can express your old home love. 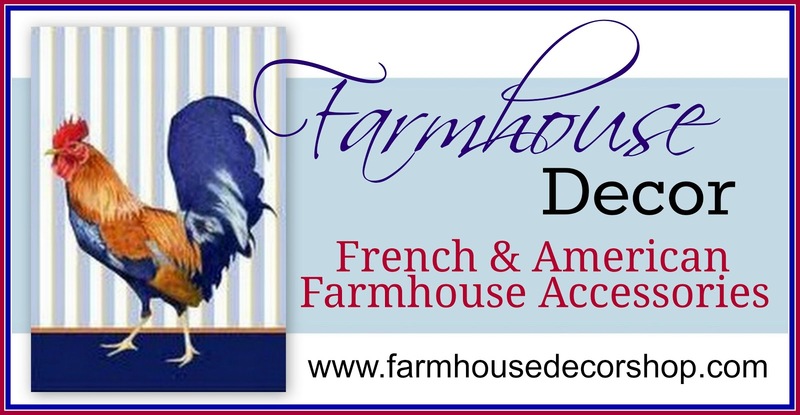 Collecting Farmhouse-style Furniture may sound very daunting. Few of us have the budget to just go out and buy vintage cabinets and chairs and chests. But, with the rebirth of chalk paints and milk paints, creating your own Farmhouse-style furniture from thrift store finds is now possible. 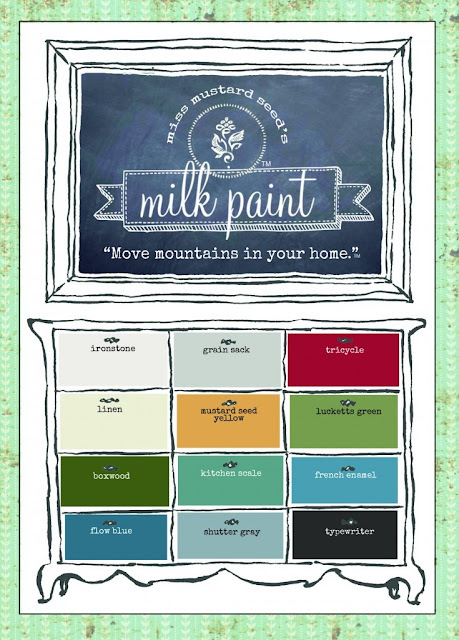 One of the pioneers of painting furniture with milk paint is Marion of Miss Mustard Seed. In fact, she became so prolific at the art of painting furniture – that she developed and started marketing her own line of milk paints. While I do not condone that you paint priceless family heirlooms, if you have some items of furniture you do not really care for, or have an item that needs an instant update – try your hand at milk paint or chalk paint. 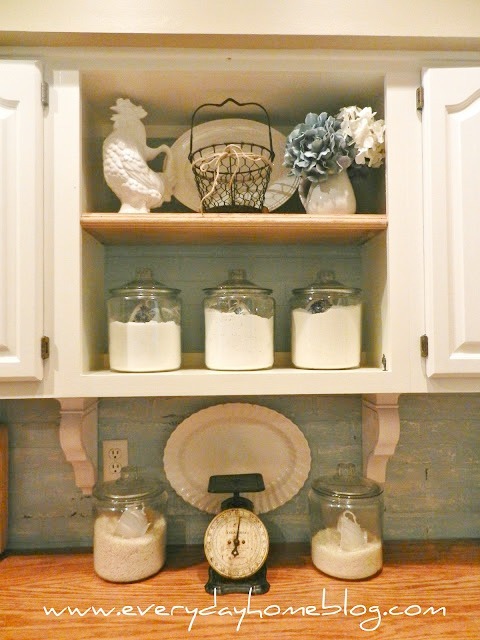 (Annie Sloan Chalk Paint is a great source). This is where your heart can soar and your creativity can take flight. 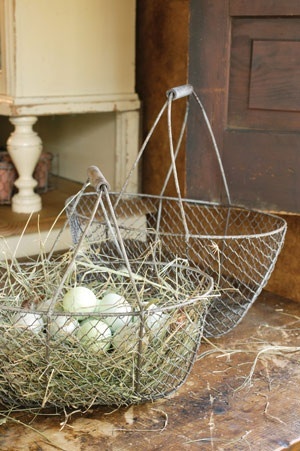 From wire egg baskets to milk bottles to old ladders to….. 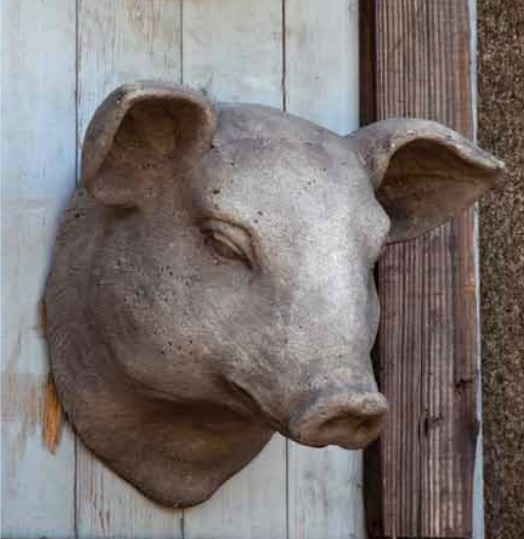 Pig Heads. Farmhouse Decor is broad and expansive. 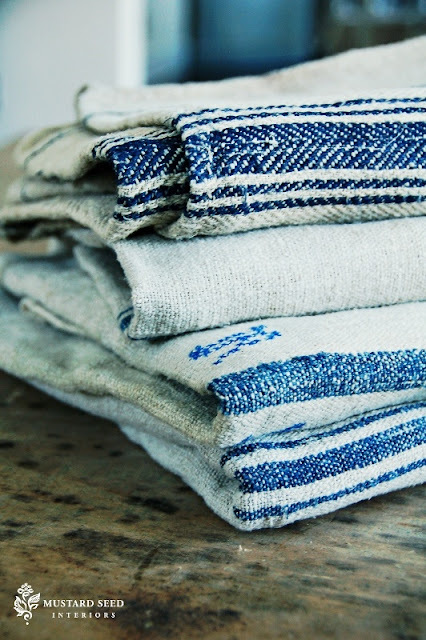 Farmhouse accessories can be found at flea markets and thrift stores, and even larger retail stores offer a variety of goods. Just a few well-placed pieces can invoke Farmhouse Style. 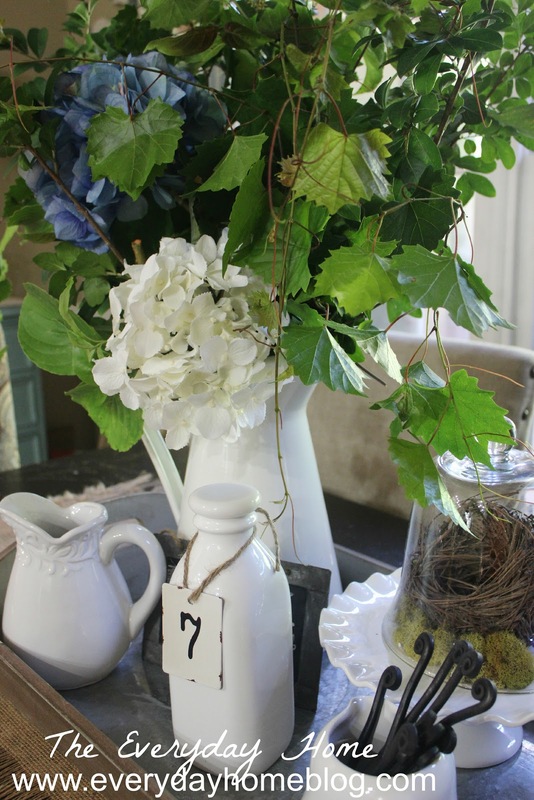 I used a tin-bottomed tray with a milk bottle and assorted white dishes to create this Farmhouse-Style Vignette on my breakfast room table. 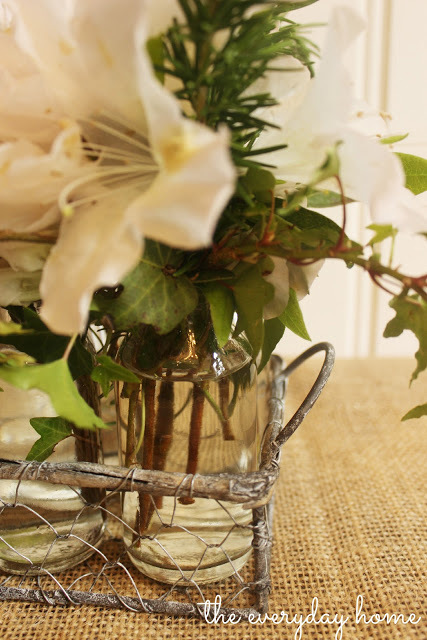 Then, please follow my Pinterest Board…Farmhouse Style! 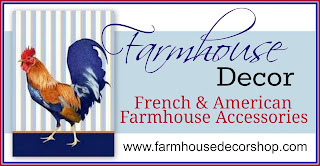 Here are my three favorite Farmhouse Blogs. Decorating, Design and DIY Ideas. Thanks Anne so glad you enjoyed it. Oh, I love these ideas – thanks!! Thanks for stopping by to read them. Have a great weekend. 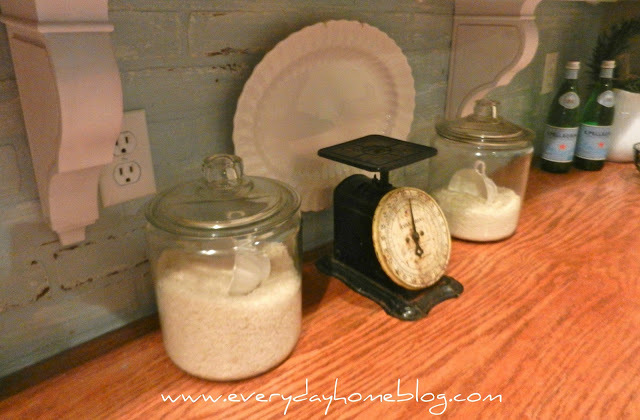 Barb this was a wonderfully thorough post with great ideas for everyone! KATHYSUE recently posted…My Designing Brain Is At Work Again!! Wow, Barb! I’m thrilled and honored to be on your top 3 list. Who knew? We must’ve been on the same page this week … I posted about farmhouse decorating tips on my blog last night! Great and inspiring photos! 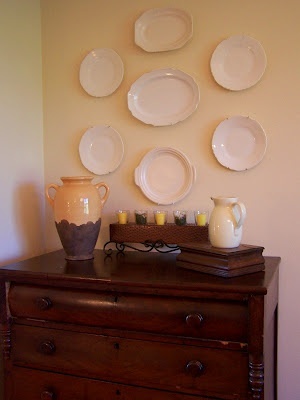 Any idea what brand/color of paint is used to paint old dishes with to get that ironstone look? Excellent post filed with wonderful inspiration! Luved it all!! Every tip, every picture 🙂 Well done. Now, I want to change it all…. Gee recently posted…Shiny and New. Beautiful post! Thanks you so much.I never thought of it as farmhouse style ( I grew up in Brooklyn! ), but I am so in love ..I will follow your farmhouse board. I may be already. I love this post!!!! I have never thought of my style as being farmhouse but it totally is! 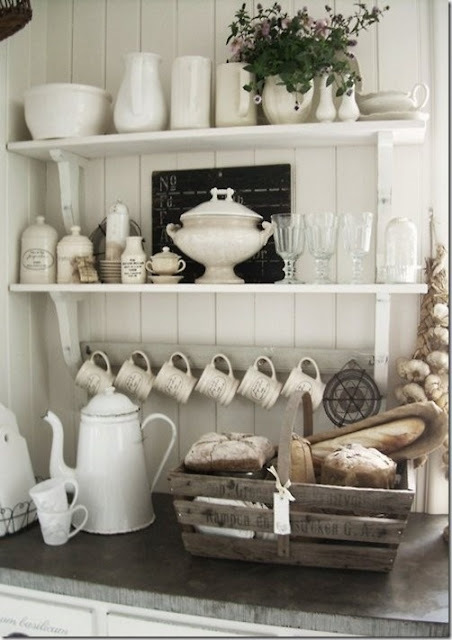 The only thing that I don’t have (or want) in my home is the ironstone dishes. I have Depression glass (vintage and reproduction) that I use every day. We are moving into a new(er) house in a few weeks and I am definitely going to use some of these ideas. 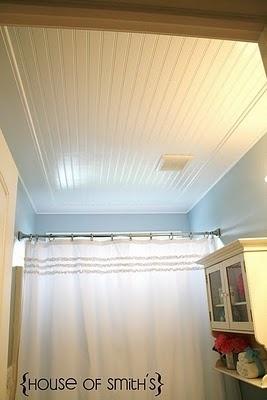 We are adding a wing on and I love the bathroom beadboard ceiling featured in this post….. totally using that. And I’m vascillating over kitchen countertops (granite vs. quartz) but am now leaning toward wood. Thanks so much for the wealth of information just when I needed it! Lovely, just beautiful….reminds me of my grandparents home and being back on the farm! This is great! Nice little summary for me to keep in mind while I go hunting. Can’t wait to start rummaging at thrift shops! Very true! 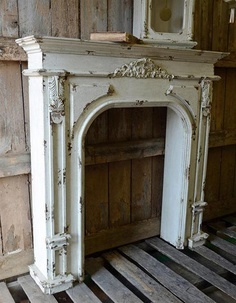 There is no any predetermined standard for farmhouse fireplaces. 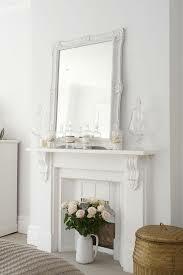 Keep on renovating your old ones unless and until it starts appearing to be a farmhouse-style fireplace. An experienced professional can help you in getting the result with full perfection. Brilliant pictorial explanation! Farmhouse style is all the rage these days. 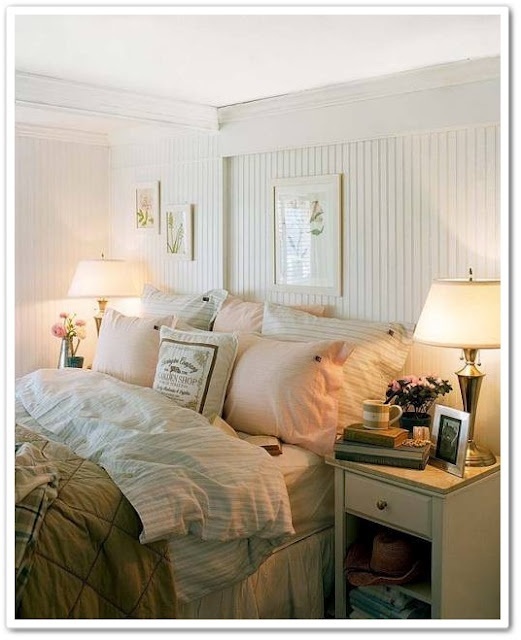 I especially love the beadboard ceiling idea. So many older homes have popcorn ceilings and it is a huge mess to remove. Adding beadboard right on top can quickly and easily change that look to a much more modern farmhouse style! Dan Ryan recently posted…How Do You Know If Your Roof Is Damaged? I too, love the wooden countertop. Do you know if (or how) to combine sections? My counter is 13.5 feet long. Love your blog! I am loving everything about your home! My little hearts desire is to someday live out in the country, in a farmhouse. But as you suggest, if that’s not possible at the present time, then bring the farmhouse just a tad closer! So I have been making some great changes in our home, and surprisingly my hubby and daughter are quite taken with the farmhouse style. Thank you for sharing your ideas and your home with us. 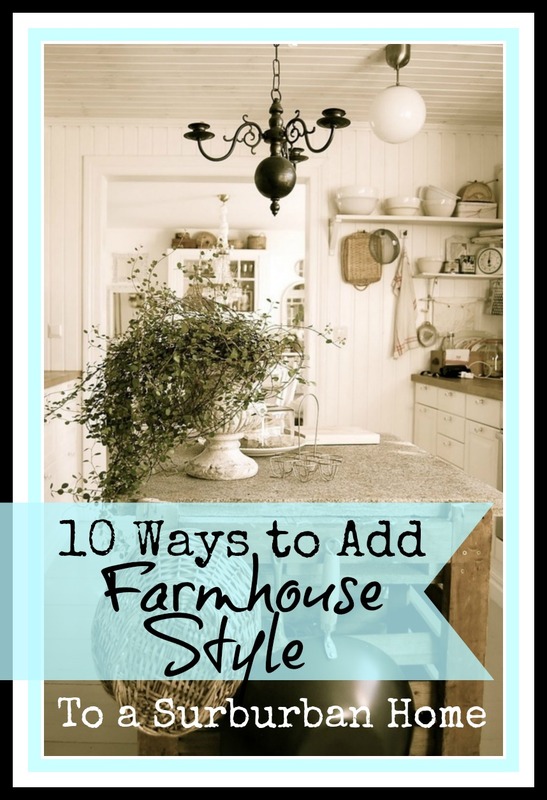 I am delighted to see your tips for bringing the farmhouse to live. My house is a farm house, and I love the ideas you have given here, especially one about the open shelf. Perfect! Love your photos, we have a “modern” farmhouse that we are transforming slowly into yesteryear. Thank you for all the beautiful and helpful ideas. I absolutely LOVE the countertops with the cabinets! What kind of cabinets are these and where can I buy them?!? So in love with your cabinets!! Where can I buy these?? Absolutely love your blog! Can you tell me where you got the light fixture in your kitchen? I have a light over my kitchen sink that shines right in my eyes! I thought I was the only one who was plagued with this problem but if I had a fixture like yours, I would actually think it was awesome! I have had the picture of your kitchen saved for a long time and had planned on taking it to a light store and ask if they knew where I could get one. If you could tell me where you got yours that would be a big help. Thank you! 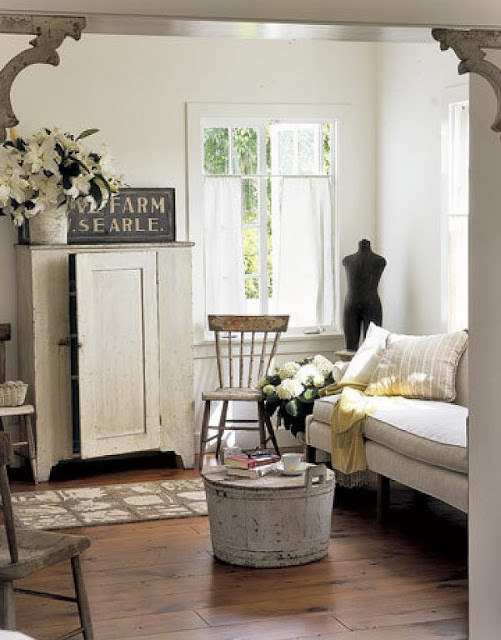 I love the farmhouse look and ideas!!! Where did you buy your curtains? I love them and have been searching for a nice design. Simply lovely. What is wrong with copper sinks? That is what I was thinking of getting because I LOVE it. What do you mean it’s a lot to take care of?? Love your pictures and ideas. I live in a ranch style home but have wanted to make it look farmhouse style. Thank you for information and ideas.